Strawberry yogurt dipped pretzels for spring! It was exciting to see these – I was head over heels for their Christmas white chocolate snowflake pretzels. And I’m a pink lovin’ girl so these had my name on them. They have a nice light flavor, especially for kids – a sweet and salty treat. We really liked them. In a bite there’s a hint of strawberry, the creaminess of the yogurt with a little salt from the crunch of the pretzels. It has a gentle sweetness, with a light taste of yogurt. My youngest son kept calling it frosting. I think you’ll like them. 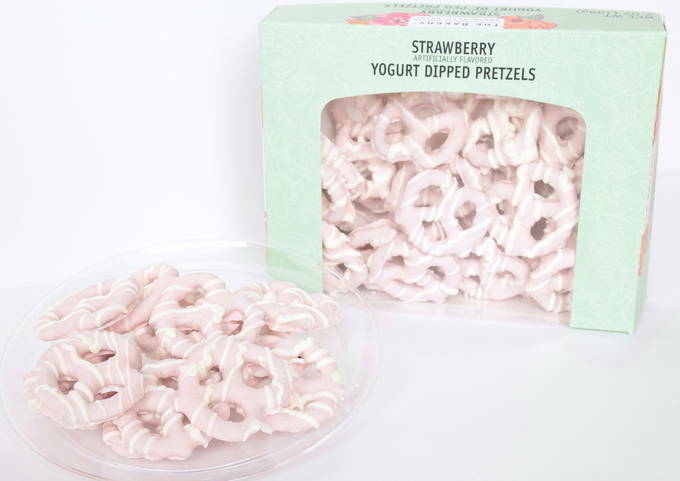 I loved the white chocolate pretzels, but these strawberry yogurt dipped pretzels are also very good. They would be so pretty for a wedding, birthday, tea party, or a spring sweets table. 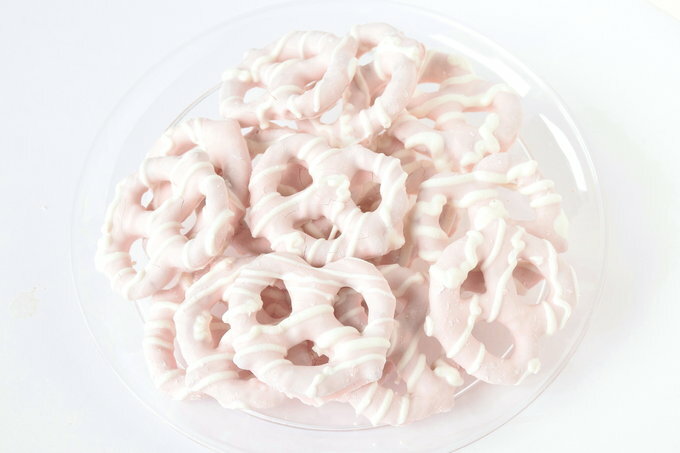 My family loves these strawberry yogurt covered, with white striped pretzels. I used to get at local neighborhood Walmart but not any more. Can you help me get my hands on these? They are delicious. Thank you.